Fernando Alejandre allegedly stabbed his victim multiple times. 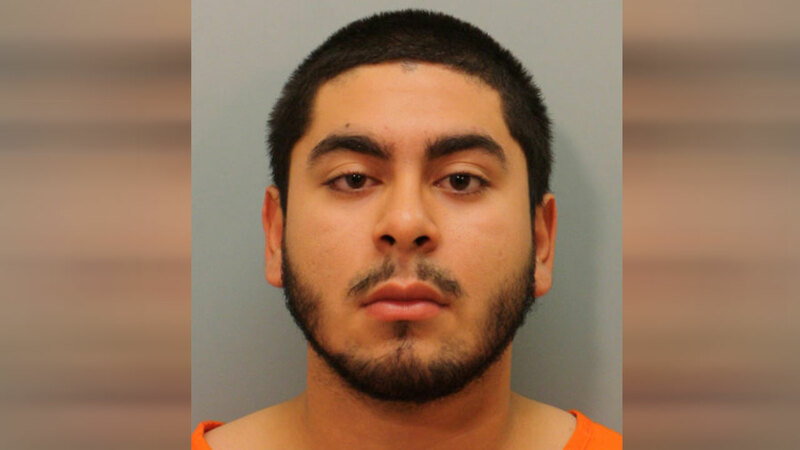 HARRIS COUNTY, TX (KTRK) -- Deputies say a would-be robber accused of stabbing a man to death in west Harris County is now behind bars. Fernando Alejandre is charged with Capital Murder after investigators say he stabbed 22-year-old Khoa Tran multiple times. The stabbing happened around 5:40pm Wednesday in the 20800 block of Imperial Landing Lane near Waterport Lane. Tran died at the scene as a result of his injuries. Homicide detectives say Alejandre and a second person attempted to rob Tran right before he was killed. Alejandre is in the Harris County Jail awaiting trial without bond. The second suspect in the case is still wanted. If you have any information on this case, you can make an anonymous tip by called Crime Stoppers at 713-222-TIPS.